So as you may have seen on my Instagram stories, I'm in the midst of moving house. While it's a stressful experience I'd rather not have to go through - my current tenancy was up and it was time to move on. I'm vlogging the whole fiasco here, so keep an eye out for that! 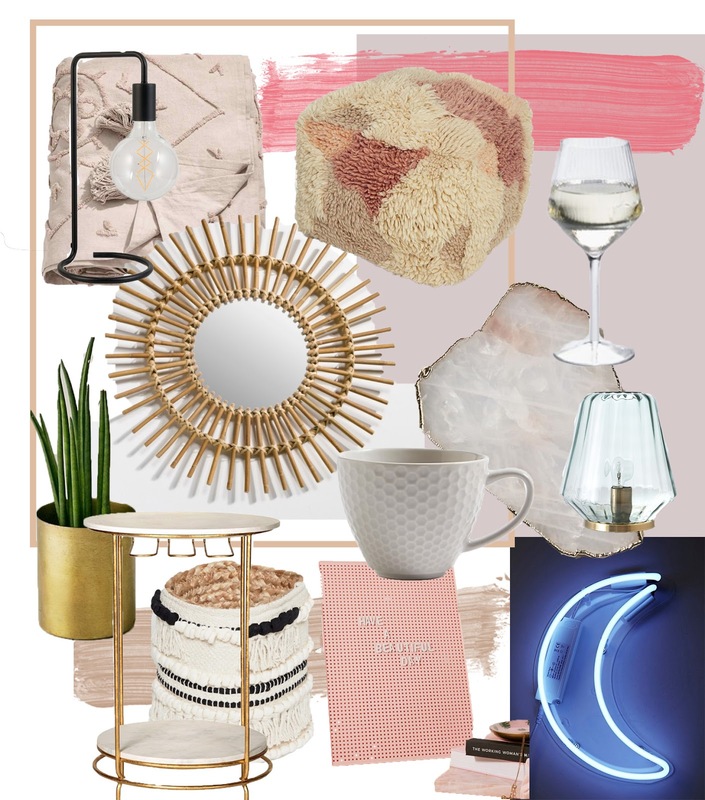 Nonetheless, I'm still excited about the prospect of decorating a new space so here are a few things I'm buying. I'll be sure to do a post on my new space when it's done! Also, I'm really sorry about the lack of outfits posts of late. I feel terrible about it and I promise once life has settled down a little bit I'll be back on it. I'm also planning a massive blog refresh so it's all go here. omg i love the big pouf cushion from Urban Outfitters but it's so expensive even in the sale!